Tired of using all the brands of lipsticks and lip-gloss my lips were in search of some affordable, durable and matte type of lipstick and lip colors for my pink soft lips. In search of good lipstick I visited a cosmetic bazaar of my city. I was amazed by the different color shades of lipstick by Elle 18. Immediately I purchased Irish maroon matte and baby pink lipstick. Next day, I wear Irish maroon lipstick and attended my son’s school function. Admired by all ladies I felt happy and came back to home with a wide smile on my face. I was surprised to be with the Irish maroon color on my lips till 8 pm. Taking food and water couldn’t fade the matte effect of my lipstick. I purchased it for Rs 100. I am in love with it. I can bet you, it will be with me for next 6 months and forever in my vanity box. There are variety of different shades of lip gloss, lip crushes and lipsticks in Elle18. While applying the lipstick, just open widely your mouth then put it on your soft lips. It’s smell is fruity type and doesn’t stick in odd way. 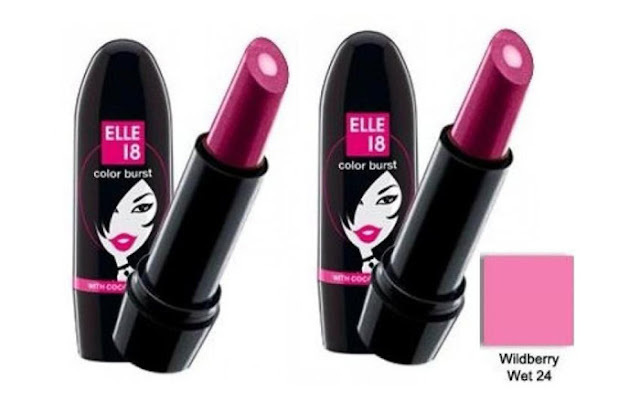 Go with Elle 18 lipstick and make your impression with soft and healthy lips.